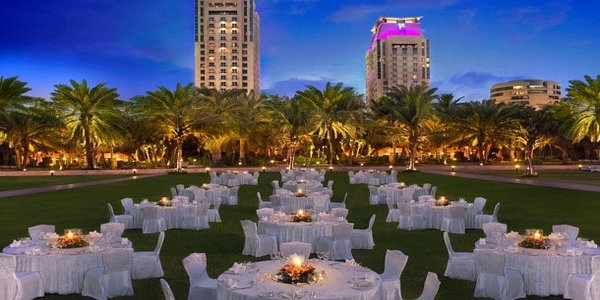 The Marriot Habtoor Grand Beach Resort & Spa offers some of the best 5 star accommodation Dubai has to offer. 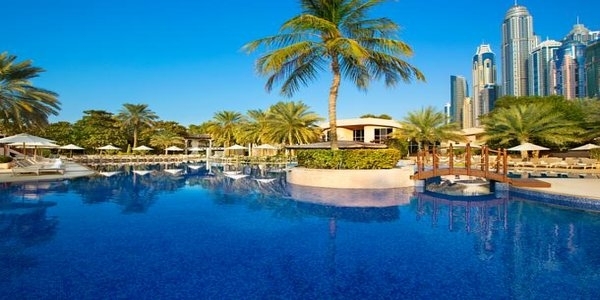 Situated on Dubai’s world famous Jumeirah beach and adjacent to the magnificent Dubai Marina. A unique experience near to the exciting heart of Dubai downtown Dubai. Prices are a guide only and are per person, based on a superior king room including flights, taxes and transfers. Child prices from £229. 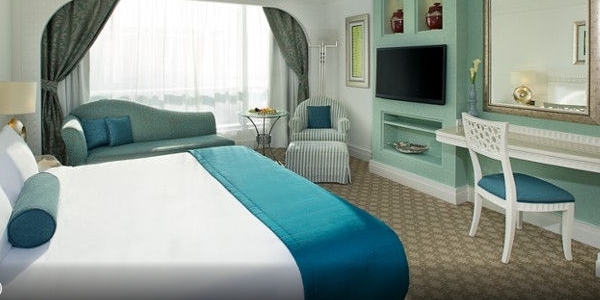 Room upgrades: superior partial sea view room from £15, luxe sea view room from £24. This fantastic property is situated right on the famous Jumeirah Beach and is located next to Dubai Marina. 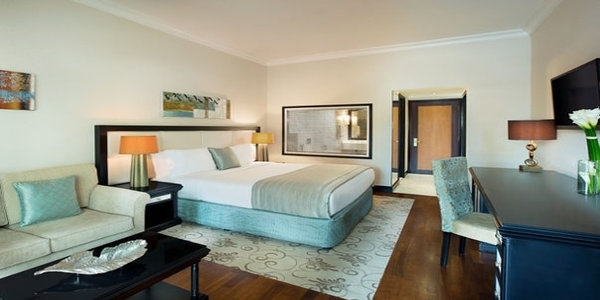 Each of the resort’s spacious guestrooms are either sea facing or overlooking the landscaped gardens. 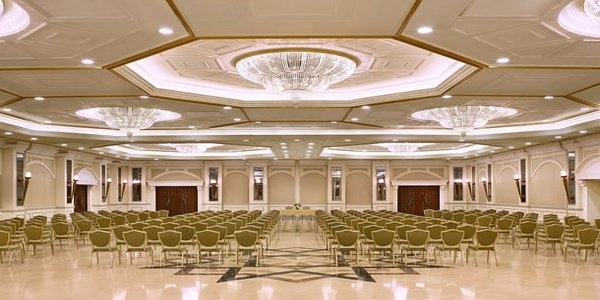 Beautifully furnished, the rooms and suites create a sense of tasteful luxury and warm Arabian style. Guests staying in Club Rooms benefit from a host of privileges including access to the exclusive Club Lounge. 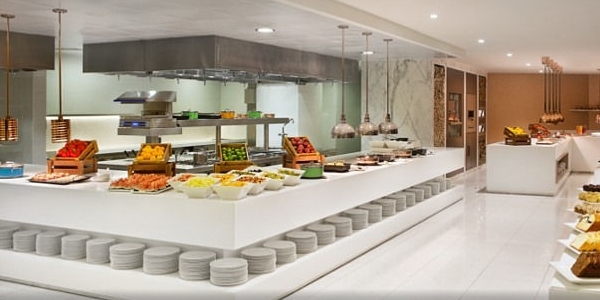 The resort boasts 15 themed bars and restaurants designed to suit all tastes. It is also home to one of the best nightclubs in Dubai – XL Dubai, which hosts popular DJ nights and concerts, attracting a glamorous clientele. 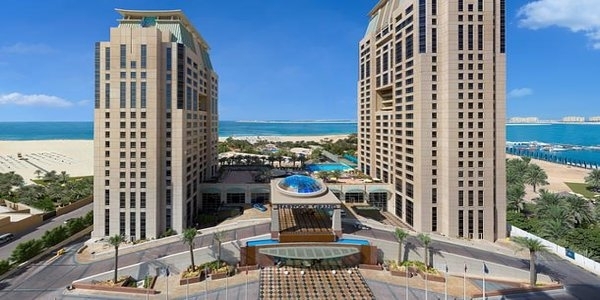 There is a choice of 2 main pools; 1 set within landscaped gardens, the Infinity Horizon pool located on the mezzanine level with spectacular views of the azure gulf plus an additional kids’ pool. Guests can also take advantage of the large private beach, where they can enjoy full access to a host of watersports activities. Additional recreation facilities include 4 floodlit tennis courts, 2 squash courts and a fitness gym. 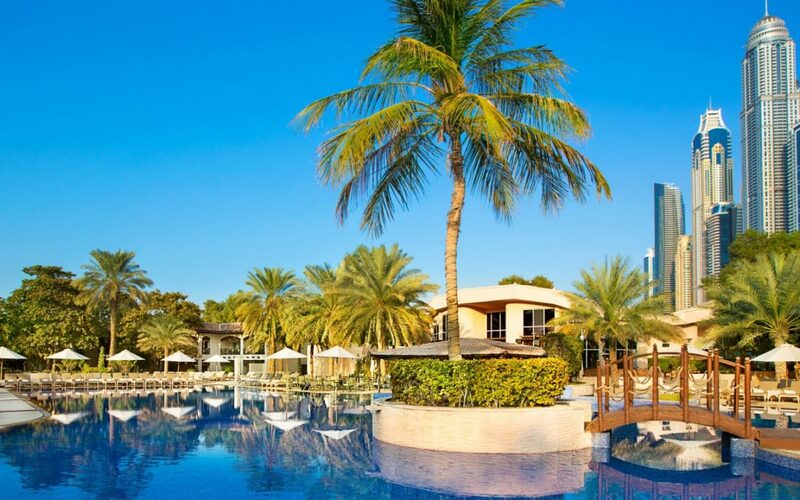 Save on your next holiday to Dubai! Activities available at Habtoor Grand Resort & spa. Guest room resort-Located on the low floor, the guest room resort offers 1 king or 2 double bed for 3 adults. Air conditioned, evening turndown service, working desk and ironing board. Guest room tower-40 sqm room with partial ocean view, with 1 king or 2 double beds. 24 h room service, Air conditioned, Wi-Fi, working desk and ironing board. Guest room resort garden-35-40 sqm room located on the low floor, with resort view, terrace and balcony, for 3 guests, and 1 king or 2 double beds. 24 h room service, Air conditioned, Wi-Fi, working desk and ironing board. Tower Oceanfront –40 sqm rooms, with views of the ocean, with resort view, terrace and balcony, for 3 guests, and 1 king or 2 double beds. 24 h room service, Air conditioned, Wi-Fi, working desk and ironing board. Tower Family –large 50 sqm room, with 2 twin beds, sofa bed and partial ocean view. Sofa bed, 24 h room service, air conditioned, Wi-Fi, working desk and ironing board. Club level –40 sqm rooms, located on the high floor, with partial ocean view. Access to the Club lounge with complimentary amenities and complimentary airport transfers in a private car. Club Oceanfront –40 sqm oceanfront room, located on a high floor, 1 king bed or 2 Doubles, balcony with complementary club lounge access. 24 h room service, Air conditioned, Wi-Fi, working desk and ironing board. Ambassador Suite-140 sqm suite for 4 guests, with ocean views and with dining area and separated living room. Club lounge access, sofa and chair. 24 h room service, Air conditioned, Wi-Fi, working desk and ironing board. Pool bar– the best place to cool off in the shade, with fresh drinks, creative cocktails, ice creams and sodas in the relaxing Pool Bar. Al Dhiyafa Grand Kitchen– Located on the lobby of the Habtoor, the Al Dhiyafa is a brand new restaurant that cuisines from around the world. Fish bazaar – Fish Bazaar Enjoy the best Asian and culinary delights in this traditional Thai restaurants. Acacia Lounge– the perfect lounge to enjoy a large variety of teas, cakes, coffees and pastries. The acacia lounge is a beautiful lounge in the heart of the resort. LOW DEPOSIT HOLIDAYS FROM £99.